The kitchen has evolved with families and taken a central role in the modern home. It is therefore no surprise that it is one of the most popular renovations homeowners undertake, according to the National Association of Home Builders. With an ever-growing concern for climate change, more people are choosing to integrate sustainable solutions into their everyday life to help reduce their carbon footprint and live a healthier lifestyle. The key is to build an efficient and sturdy kitchen that won’t need to be remodelled often and that will stand heavy wear and tear. • Grow With Your Family: Plan for a kitchen that will cater to your family’s needs for a long time. Refrain from the temptation to build items to suit your toddlers because your kids will fast outgrow your kitchen. Include many prep spaces and so your little ones can also learn and assist you in the kitchen. • Favour Classic & Neutral Finishes: Just as with clothing, kitchen trends come and go. Avoid falling victim to fashion and making bold decisions you might regret in 5 years. Instead, opt for neutral colours for the built-in elements (cabinets, countertops, flooring), and accessorize with trendy colourful decor. White: is the ultimate colour for your kitchen. White cabinets are especially popular because they evoke feelings of freshness and openness. Shaker doors: this simple door is perfect to streamline the look of your cabinets while adding a touch of architectural interest to them. Marble: has been a preferred material for centuries, and now many manufacturers offer quartz countertops that perfectly imitate the marble look for a fraction of the environmental impact and price tag. 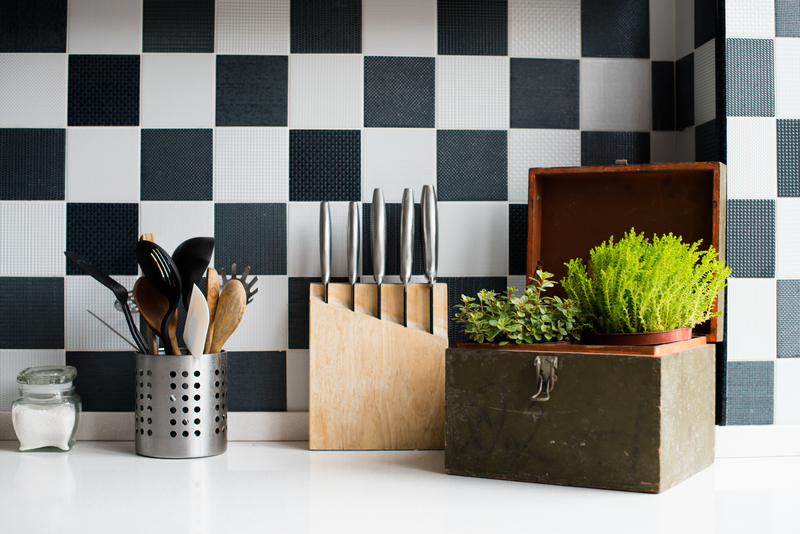 Subway tiles: are ideal for backsplash applications. Classic subway tiles have been popular in residential settings ever since they appeared in the NYC’s subway in the 1900s. As a rule of thumb, opt for recycled or natural materials that don’t require much production and can be found locally. Cabinets: It is important to consider the fabrication of both doors and cabinets. Look for reputable green certifications such as the Forest Stewardship Council (FSC) which will indicate if the wood was harvested from a sustainable and well managed forest. Many cabinets found in the “Big Box” stores are fabricated with particleboards and MDF which uses harsh chemicals during production, such as formaldehyde glue. Theses chemicals release Volatile Organic Compounds (VOCs) and other toxins into the air of your home, which you and your family will breathe. Prolonged exposure to VOCs causes headaches, allergies and can ultimately be the source of various health problems. Kids and seniors are especially vulnerable to the dangerous effects of VOCs. Opting for custom cabinets made from domestic wood (or recycled materials or agricultural waste) and with water-based adhesives will eliminate the risks of releasing VOCs into your home. 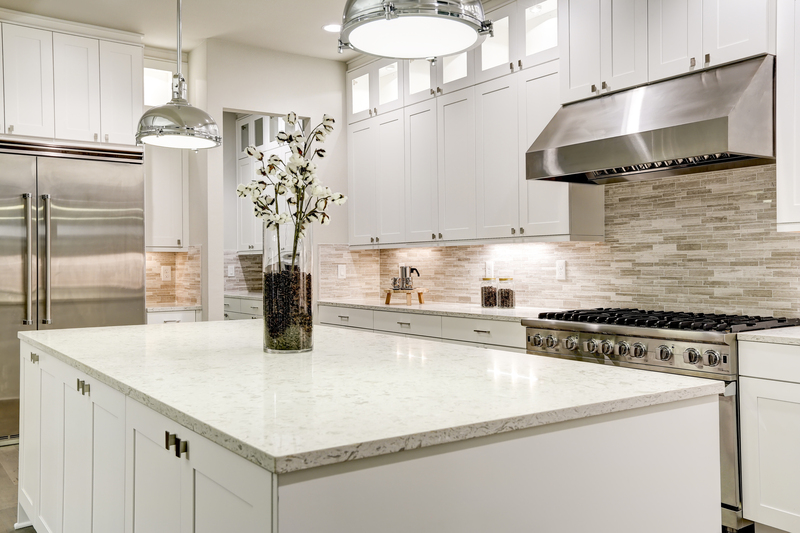 Countertops: The new trend for quality countertops is quartz. It is a high-end engineered stone that is highly durable, non-porous and doesn’t require any maintenance. It can be manufactured locally which cuts down on transportation energy which is less harmful for the environment and promotes the local economy. Other types of eco-friendly countertops to consider are: concrete, recycled paper, recycled glass and wood. Flooring: Choose durable flooring that will resist foot traffic and be low maintenance. Favour flooring made of: domestic hardwood that is FSC-certified, salvaged/reclaimed wood, tiles made of recycled materials, or made from rapidly renewable sources like bamboo or cork. Dedicate a space indoors or outdoors to grow your own vegetables and herbs. Growing your own food not only promotes healthier eating habits and lifestyle, but it also helps reduce grocery bills and has a direct positive impact on agricultural systems and ecosystems (which together account for a bigger environmental impact than the energy you consume at home). Bonus: indoor plants help improve air quality! The “Three Rs” are the pillars of sustainable living and design. You can apply this concept to any room in your house and any area of your life. As much as possible, reuse every item by giving them a second purpose. Try reducing the energy and water you consume every day. Finally, make recycling part of your routine by dedicating a cabinet for garbage disposal, recyclables and compost. You will also be happy to tuck away those disgraceful bins! Ultimately,, you will decide what level of sustainability is right for your needs. With over 20 years experience in the business, The Kitchen Guy ® can help you navigate those difficult decisions. We have partnered with trusted local green cabinet and stone countertop manufacturers to offer you the best options available in the region. Our mission is to change the world one kitchen at a time, and we believe that starts with caring about the health and needs of our customers and their families. Inspired by our tips? Call us today to receive a free estimate and let us help you build your dream kitchen.